Once a month I post over at the Canadian Writers Who Are Christian blog. Here’s a taste of what I wrote this month, so early in 2016. We’re nearly two weeks into 2016, but for a few moments I want to reflect on the old year that we’ve just put aside. This past year was momentous in so many ways and sad in others. Three people in my circle of acquaintances and friends—some for as long as 30 years—died in 2015, plus one young teen who attended our church. As I mourned the loss, I also felt grateful to have known Kathy, Susan and Patricia, and Samantha. I reflected on the blessings they brought to my life. 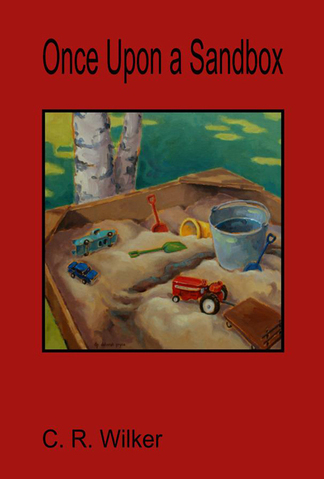 Susan was part of my early writing life and edited my first book, Once Upon a Sandbox. Kathy had invited us to her place when we were new members at the church and then to the Bible Study she often hosted. Patricia was a kind and generous neighbour who became a friend, and Samantha is gone too soon at the age of 16. Even while I mourn the loss, there were good times aplenty. My husband and I gained a new granddaughter, an addition to the two small grandchildren we already have. I had new publishing credits (Hot Apple Cider with Cinnamon and Tower Poetry) and requests for a column in our national denominational magazine, Canada Lutheran, and publication therein, but also invitations to do my memoir workshop in new locations to new organizations. There have also been new friendships in the making and a fabulous writer’s critique group in my corner.